The music video for Ed Sheeran's Shape of You has earned over 500 million views on YouTube. And there're tons of hot music videos on YouTube, like Bruno Mars That's What I Like, Katy Perry, Justin Bieber, Adele, Taylor Swift music channels, to name a few. YouTube is no doubt the favorite place for people to enjoy music videos. That's right, countless music videos and classic performances are a keystroke away. Considering that to save music videos from YouTube is more alluring than streaming online to get rid of annoyances, to enable a better experience, here a simple guide on free YouTube music videos downloads in 720p, HD MP4 MP3 with a free and professional YouTube music video downloader is shared for enjoyment on mobile devices iPhone, iPad, Android on the go. Whether you want YouTube Hindi music videos, gospel music downloads etc for Android, iPhone, iPad, MacX YouTube Downloader will be your best aid. This must-have tool can easily download MP4 music videos from YouTube, be it 4K UHD 4096 x 2160, HD 1280x720, 1920x1080 and SD formats, and save them into different output files, resolutions and sizes, like MP4, FLV and WebM with excellent quality for freely playback on your mobiles. It also helps to save music videos, HD trailers, full movies, funny clips, songs free from 300+ online sites, including Facebook, Dailymotion, Vevo, Vimeo etc, free of adware, malware or virus within clicks. Now download MV from YouTube as per the guide. Step 1: First get the free YouTube music video downloader for Mac or for Windows and launch it. Copy and paste the URL of the music videos on YouTube you would like to download. Then just click "analyze" to load the music video's information. Or you can simply click "paste & analyze" button such that the program will automatically detect the YouTube video. Tips: This free YouTube music downloader can actually help you download music videos from YouTube, Facebook, Break, Metacafe, SoundCloud and 300 more in MP3 or HD formats. Step 2: Choose the video format, resolution and file size. You can get YouTube music videos in FLV, MP4 or WebM format. Tips: This tool also brings the simple solution on how to download music from YouTube to iTunes by automatically adding the output MP4 YouTube video to iTunes Library so that you can further import it into your iPhone or iPad for playback limitlessly. Step 4: Click "Download Now" to start the process of YouTube music videos downloads for free in HD. For those who need more output files, for example, to save music from YouTube to MP3, AAC, WMA, HD MP4, MKV etc, or for those who want to directly get MV from YouTube to iTunes, iPhone, iPad, Android, then the advanced tool named MacX Video Converter Pro is exactly what you need. It can not only convert the downloaded YouTube music videos to various video audio formats, like MP4, MOV, M4V, AVI, FLV, MP3, AAC, iPhone Ringtone, AC3 and many more with 83X faster speed and 98% quality reserved, but also directly download music videos from YouTube and also 300 online video music sites into the formats or devices as you desire. And then you can use MacX MediaTrans to transfer music to iPhone, iPad, iPod for playing on mobile devices. It's a common choice for users to stream YouTube music videos online, but, beyond doubt, YouTube music videos downloads brings better experience. By this we mean the various limitations imposed on streaming YouTube music videos, and other online clips as well by both YouTube and internet connection. > YouTube buffering. It takes time to wait for the buffering before you access the music videos on YouTube, and as for how long will it take depends on your internet connection. > If you are outside and stream YouTube music videos online, you may receive a message asking you to pay call bills no more than two music videos finish. Yeah, a massive bandwidth usage is required. > Enjoy the music videos with fun but suddenly an ad pops up, so you have to wait for the ad finishes. What a fat bummer! Considering so many annoyances, to download YouTube music videos free is an once-and-for-all option. And now comes the question: how to download music from YouTube to mp3, mp4 etc? Take it easy, this job can be easily done with a qualified YouTube music downloader. Speaking of music videos, you may easily get confused by the enormous music video library on YouTube unless you know exactly the song you would want to download. Indeed, singers and artists are a huge hit on YouTube, and almost everyday, a new music video from celebrities is released. For those who just want to YouTube music videos downloads in HD MP4 for playback on mobile devices, or to convert music videos to mp3 for listening on music player, the list of top music videos on YouTube is shared below. Unsurprisingly, many big names we've spent most of the year talking about, including Taylor Swift and newbies Iggy Azalea and Meghan Traino make the list. Get the top music videos on YouTube now, have fun! 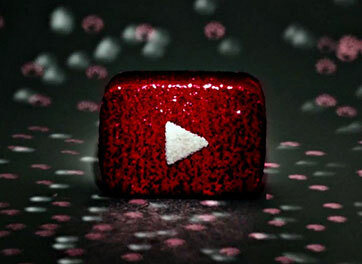 Best YouTube Sound/Audio downloaders to free download MP3, audio, sound, music, songs from YouTube. Download sound from YouTube to get rid of any no sound on YouTube problems with the top YouTube audio downloader now! MacX YouTube Downloader is the best free YouTube Downloader which can easily download YouTube videos with original quality and fast speed. This feature-rich video downloader also can help you download 8K/4K UHD full movie/videos/music free from other 300+ online sites.